Join us near the Lincoln Memorial on Saturday, May 12, 2018 for the Semper Fi 5K Run/Walk to help us raise $60,000 for our wounded warriors! 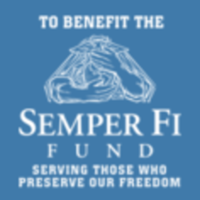 100% of the proceeds benefit the Semper Fi Fund. Thanks to our tremendous volunteers and sponsors, every single penny left over from registration fees goes directly to the Semper Fi Fund. Together, we have raised over $340,000 (and counting) for our wounded warriors!